If you’ve been reading Folk Media for any amount of time you may have heard us mention the blogging platform WordPress. It is a powerful blog management system that can also be used to manage a non-blog site. In this article I’ve outlined five reasons you shoud use WordPress for your business or nonprofit. WordPress has great SEO functionality built-in. The code that WordPress uses is easy for Google and other search engines to “read” and index. Google loves WordPress blogs. There are also free plugins you can install to add even more SEO juice to your blog. You can’t beat free. Other blogging platforms cost money. WordPress is built as open source. This means that the code is free for anyone to use and build upon. So you are free to download and install WordPress on your server without spending a penny. Let Folk Media download, install and set up WordPress for you. Start a free hosted blog at WordPress.com. It is hosted on the WordPress servers and you have limited customization, but it is a great way to get started. If you can edit a Microsoft Word document, you can write and publish using WordPress. The interface is a basic text editor with the standard menu buttons you already use in your favorite word processor. You don’t need to learn HTML, CSS or PHP to make your site look good. Most themes and plugins come with push button shortcuts that allow simple customization. Because WordPress is hosted online, you can update your website and blog from anywhere in the world. It gives you complete freedom and mobility. If your business is closed due to a massive winter snow storm, you can sit at home, log in to your WordPress site and update your blog in your bathrobe. There is even a mobile iPhone App to manage your site on the go. There are literally thousands of free themes that you can use to create the perfect look and feel for your blog. There are also themes for sale like WOO Themes (the one we use) that allow you more control over the look and feel of your site. In addition to great themes, free plugins can also help you manage the look and feel of WordPress. A plugin is a simple computer program that works with the main WordPress code allowing you to manipulate it without having to know code yourself. WordPress is very customizable. With so many options, there are several fortune 500 companies using WordPress to power their blogs and sites. It is estimated that one percent of the internet is powered by WordPress. With that much penetration, WordPress users can rely on a large and growing community of developers, designers and specialists who understand the system and how to get the most out of it. 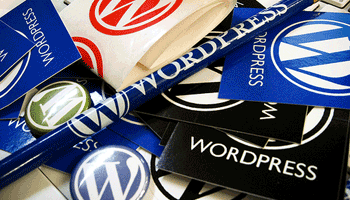 If you are looking for resources and help in using WordPress visit the free support forums. WordPress is here to stay. If you are looking for a free, easy and simple way to manage your online blog or website I recommend WordPress. I absolutely rave about WordPress. I use it for my site and I highly recommend it to all of my small business clients who need a website that they can maintain themselves. I didn't need to know any code to set up my WordPress blog. And the SEO value is priceless. That's good news Laura. Glad WordPress is working for you. As you already know it is a great tool. Keep us posted on your progress. I prefer WordPress among others. It’s a very powerful blogging platform and has all the needed features and it’s very versatile.